One of the handier voice commands that users can give to Google Now is “remind me to [whatever],” which will automatically start a function that adds a reminder and alarm to the cards. Follow that up with a specific time or day, and it will make the necessary adjustments to your command. Now it’s even faster: the dialogue used to create a short countdown in the form of a blue line. But if you try the same command today, it will create a card instantly. 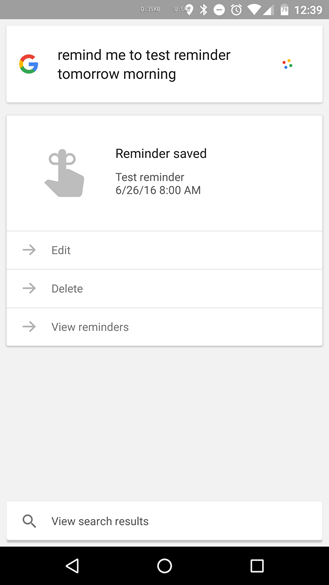 Once the card appears on screen (either from a voice command or a manual text input), the reminder is now set – no need for a second voice command or tapping the check button. It’s only if the command needs to be adjusted with a specific time or other variable that users need to tap the “Edit” button. 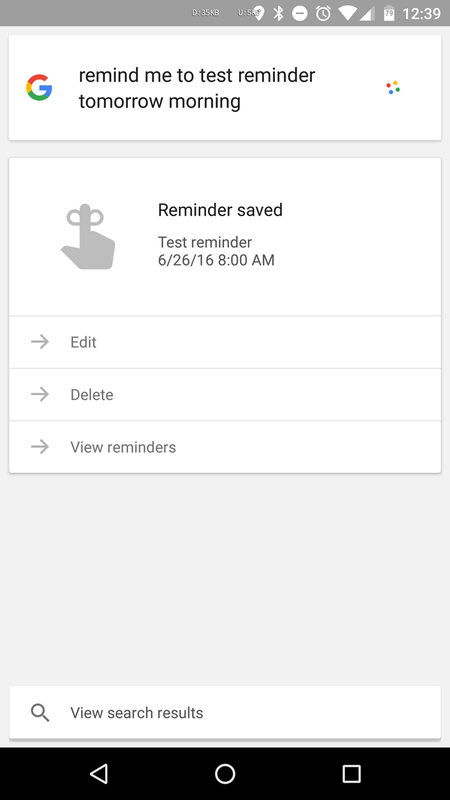 We’re seeing this change on some but not all current installations of the Google app, and Google Now cards do need to be enabled to access the reminder feature. 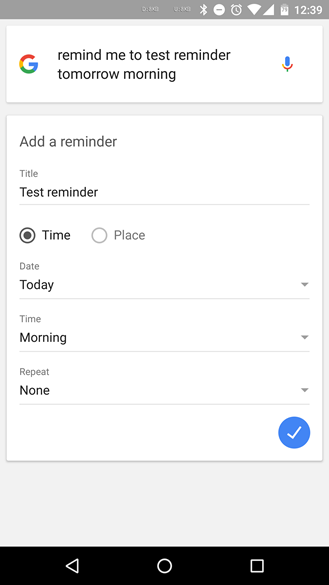 (If you don’t want cards, I suppose you could just set an alarm in the stock Clock app or use an alternative.) Check it out the next time you need to remember to forget.